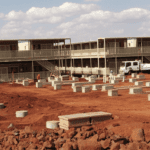 NRW Holdings has scooped a $65 million contract to deliver bulk earthworks at Rio Tinto’s Koodaideri iron ore development in the Pilbara, Western Australia. 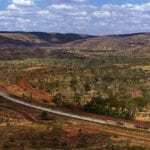 The Koodaideri project, 35 kilometres from the Yandicoogina mine in the East Pilbara, is Rio Tinto’s major new iron ore development. NRW’s agreement at the project is expected to run for 11 months from April this year. The contractor’s scope of work will include bulk earthworks and drainage, and require a peak workforce of 175 people. 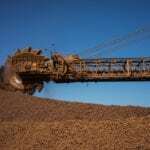 Rio Tinto approved a $US2.6 billion ($3.5 billion) investment in the Koodaideri project last November. The operation is poised to become Rio Tinto’s next major Pilbara hub and will integrate extensive automation and digitisation technologies. Rio Tinto also awarded a $45 million construction contract to Pindan for infrastructure works at the site last month. The Koodaideri project is scheduled to reach production in late 2021.